It’s all well and good to seek out stocks that are set to make a big jump overnight, but slower growth plays also interest us greatly. 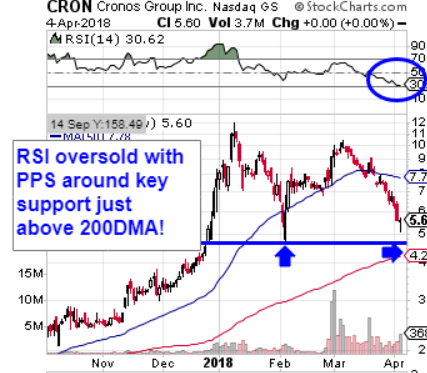 GERN is an example of a stock that we tagged near the beginning of last month (02.05) which has performed well over an extended period of several weeks. Subsequent to our tag of GERN, the stock saw a low of 2.025, and in a series of small, incremental daily gains, it steadily made its way up to a high of 4.47 yesterday, representing an increase of 121%. That’s a very respectable gain in roughly a six week period. 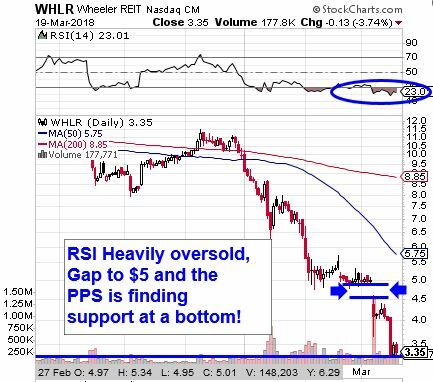 We want to take this opportunity to place WHLR on watch as a potential bottom-play. The stock has been greatly abused over the past several months, falling well below all its moving averages, and reaching egregiously oversold territory. There is also a fairly large gap on chart to the upside, something for which we routinely look. We’ll keep an eye on WHLR in sessions to come looking for the confirmation of a bounce. It certainly has plenty of room to run when that occurs, so keep a sharp eye out. The markets took a beating yesterday, and we appear to be headed for another generally bearish session. On a normal day, we’d look for post-earnings plays that had a beat and were gapping up in the premarket. Today, we were looking for an earnings miss and a stock on its way down, and FL fits the mold. The company’s Q4 earnings disappointed on sales and guidance and it appears that, coupled with current market conditions, a play on some puts may yield quick strike opportunities today. We’re going to zero in on the FL 03/16 $45-41 Puts. As we said, another turbulent day for the markets could be headed our way to finish out the week, so we’re going to want to keep mostly to the bearish side of the street. Much as the SPY trades with the market, the VXX trades inversely to it. Instead of SPY puts, we’ll go with VXX calls today for another possible quick strike options idea. We’re looking at the VXX Weekly $47-49 Calls. *Trading weekly options on a Friday should never be attempted unless you are an expert level trader with disposable funds. Recently we’ve been delving back into our reports from late 2017, to review the ones that have made notable moves, and next up on the list SRNE. 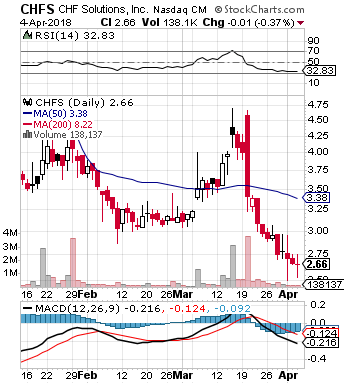 This most recent push in what has definitely been a steady but sharp rise of the past six weeks may have been helped along by Celgene’s (CELG) buyout of Juno Therapeutics (JUNO), which share a market space with SRNE. The company also has some promising treatments in its pipeline. Volume has recently been ramping up in a big way, too, so we’ll definitely continue to have an eye on this stock’s activity. We’re always looking for a good opportunity to make some quick gains in the wake of a big company’s earnings, and NFLX is one that we’ve had quite a bit of experience with in that arena. That’s why we’re going to enter an idea into the log this morning in the NFLX Weekly $247.50-255 Calls as the company posted a promising report including the addition of more than eight million new subscribers even despite its recent price increases. Shares of NFLX broke a double top and are in blue skies, hitting a new all time high, so we’re very interested to track the ideas we’ve identified. They may be able to furnish us with some impressive gains.